We’re real people with a real purpose - saving your day by fixing technology. repairs at prices that you and your accountant will feel good about. easily understood and present solutions that are the most cost effective. Not only do we have a passion for technology, but even more important is the priority we make every customer interaction. Our customers' satisfaction is our top priority. All parts and labor are covered by a 90-day warranty. If your device seems to be having issues after a repair, please contact us immediately. We will be happy to diagnose and replace any defective parts that were used during the original repair. We make ourselves available 24/7 because we understand that when a technology crisis hits, time is of the essence. We also offer remote support for quick troubleshooting and advice. 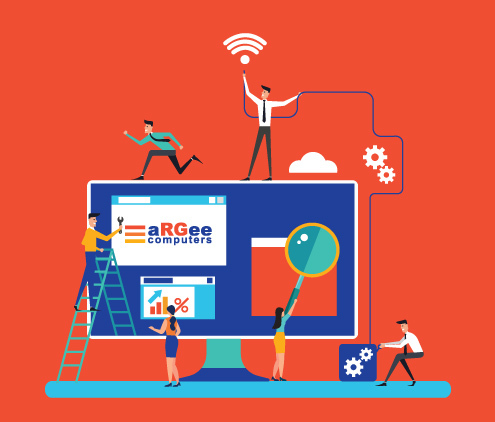 ARGee Computers is your one resource for all of your network, laptop and computer repair, service, and consulting. We are proud to be accomplished with the following brands we service.